Hello blogiverse. I am going to re-direct my book-reviewing soapbox for just a moment here and share some thoughts on a topic that only tangentially aligns with books. Firstly, a hat-tip to Alyssa at Think Progress for finally catalyzing me to share my spock-aspirations with y’all, in Action Princesses and Making the Hero’s Journey Available to Everyone | ThinkProgress. Why so much emphasis on “girls need female role-models”? Don’t get me wrong: as a female reader I’ve always enjoyed encountering a female character who carries out her/my goals with larger-than-life success. No question, that’s excellent. So, perhaps what parents, teachers, and mentors should be doing is: ditch the gender-categories in the lists and promote all the role models for everyone. Encourage your little boy to be a starship captain: just like Kathryn Janeway. Cheer for your little girl to be an engineer like Scotty. Of course it’s possible. [update] – I forgot to hat-tip the following blog article that I read during my multi-month think-period leading to this post. In “I never wanted to be a boy” Culturally Disoriented pays tribute to many (female) writers who provide strong (female) role models. I agree, there is lots to enjoy in those books – I love those authors. But still, don’t limit your aspirations to what others have already accomplished. Practice your “warrior” fighting! In his writings Homer surprises us by his use of color. His color descriptive palate was limited to metallic colors, black, white, yellowish green and purplish red, and those colors he often used oddly, leaving us with some questions as to his actual ability to see colors properly (1). He calls the sky “bronze” and the sea and sheep as the color of wine, he applies the adjective chloros (meaning green with our understanding) to honey, and a nightingale (2). Chloros is not the only color that Homer uses in this unusual way. He also uses kyanos oddly, “Hector was dragged, his kyanos hair was falling about him” (3). Here it would seem, to our understanding, that Hector’s hair was blue as we associate the term kyanos with the semi-precious stone lapis lazuli… Purple rain: did Homer think the wine-dark sea was burgundy? « Sandy’s CERSYS Blog. Fun splashing, but same old ocean. Summary: Meet twenty-two-year-old Cherry Pye (née Cheryl Bunterman), a pop star since she was fourteen—and about to attempt a comeback from her latest drug-and-alcohol disaster. Now meet Cherry again: in the person of her “undercover stunt double,” Ann DeLusia. Ann portrays Cherry whenever the singer is too “indisposed”—meaning wasted—to go out in public. And it is Ann-mistaken-for-Cherry who is kidnapped from a South Beach hotel by obsessed paparazzo Bang Abbott.Now the challenge for Cherry’s handlers (über–stage mother; horndog record producer; nipped, tucked, and Botoxed twin publicists; weed whacker–wielding bodyguard) is to rescue Ann while keeping her existence a secret from Cherry’s public—and from Cherry herself. I needed something new to read, and lookit: a new-to-me Carl Hiassen book sitting in the basement. It delivers what I have come to expect – protagonists of spunky run-down investigative male and feisty and hot female on a mission; Skink, calls to conserve not pave-over the environment, grotesque bad guys, grisly ends for some bad guys. A little bit forgettable, but perhaps that’s because I feel like it’s a Hiassen formula. Many of the supporting characters are standouts from previous books – notably Skink and the bad-guy with the weed-whacker hand. It’s nice to see them return, but it’s also a short-cut instead of introducing amazing new characters. The botoxed-scultped-identical fraternal twin sister publicists: they were new and funny. Cherry’s parents? Reminded me a little too much of Elizabeth Bennett’s parents in Pride and Prejudice, though Pa Bunterman is not quite as cool as Mr. Bennett. 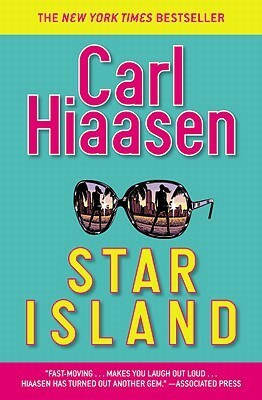 If you’ve liked other Hiaasen books, then expect some enjoyable but very-slightly-stale more of the same. If you’ve disliked other Hiaasen books, then this is not the book to convince you otherwise. I think Double Whammy is my favourite of his books. 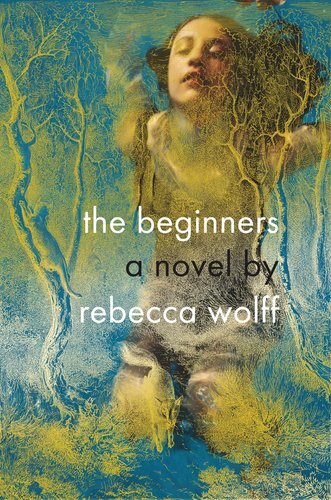 Not that I’ll go re-read it right now, but it was more zingy and edgy.